Edmunds.com lists the 2015 Nissan Pathfinder as a "2015 Most Popular Vehicle" on their website, underlining why it's a reliable and much- coveted SUV for adventure-seeking and family-minded folks. The staff at Sutherlin Nissan Vero Beach, serving the cities of Fort Pierce and River Park, are waiting for you to step in our showroom and check out everything the new 2015 Pathfinder has to offer. You'll be amazed at how this SUV continues to out-do itself every year -- and even more amazed at the great deal we'll make for you in Vero Beach! 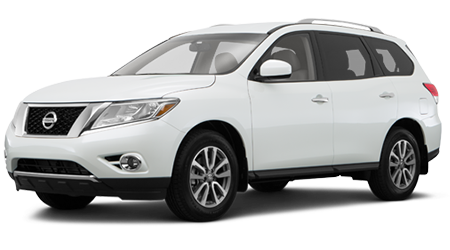 With its sculpted body and fluid exterior, the 2015 Nissan Pathfinder is a beauty to behold. But don't judge a book by its cover -- what's underneath is what counts. Under the hood of this full-size SUV, you'll find a 3.5-liter, V6 engine with 260hp and 6-speed FWD or available AWD CVT automatic transmission. ABS brakes and Hill Start Assist and descent control are also standard. And even with such immense power for smooth acceleration and a quiet ride, the Nissan engineers didn't forget about fuel efficiency. This puppy gets and EPA-estimated 27 mpg on the highway, besting three of its closest competitors by at least 2 mpg. The 7-seater 2015 Pathfinder is available in six trims -- so there's one out there made just for you and your brood. The base S, SV, SL, SL Tech, SL Premium, and Platinum are all designed to make your ride as pleasant as possible. Standard features on the S include 18-inch alloys, UV-reducing solar glass and rear privacy glass to protect you and your family from the hard-hitting Florida sun, and Advanced Drive-Assist Display, automatic temperature control for all three rows of seats, and a 6-speaker audio system with steering wheel controls. Move to the SV and SL models and enjoy dual heated power mirrors, Bluetooth for phone, a Nissan Intelligent Key for keyless start, a rear-view camera with 7-inch monitor, SiriusXM and IPod connectivity. The SV also adds remote engine start and leather seats. Move up a notch to the SL Tech and add just that -- technology including navigation with an 8-inch display, an all-around view monitor, and a 13-speaker Bose audio system. With the SL Premium, you and your family can gaze at the stars with a dual panorama moonroof. 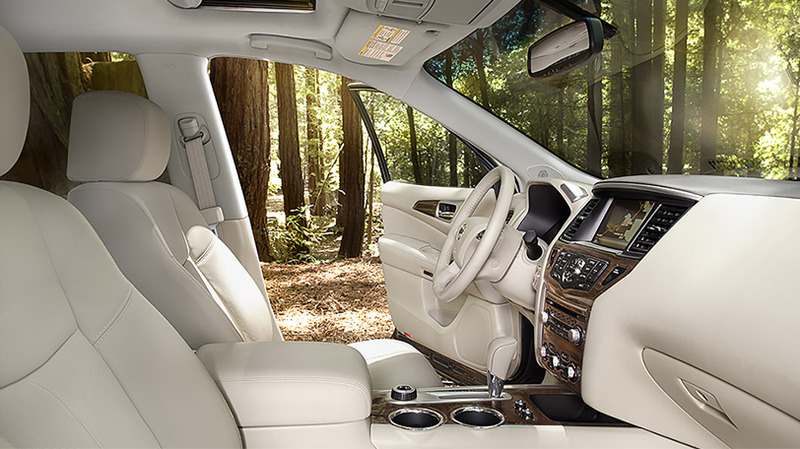 And go for the gold (or platinum) with the Platinum trim and 20-inch alloy rims and heated and cooled seats. So what are you waiting for? Sutherlin Nissan of Vero Beach is ready to show you everything the 2015 Nissan Pathfinder has to offer. So leave your driveways in Fort Pierce and River Park, FL, and come to our dealership, and you'll be parking a brand-new 2015 Pathfinder in the very same driveway when you return!